Last week’s fantasy surprises had some moments, but as a whole didn’t perform that well. Tyrod Taylor to begin looked like he was on the verge of a big day but came back to earth, Theo Reddick scored a touchdown, but didn’t offer much else and Cameron Brate had a nice day. For many, this week represents the first of the fantasy playoffs. Congratulations to those who have made it this far. With a full slate of games, barring injury those in the playoffs should have their full rosters to make a lineup from. The best thing to do is not overthink it and start the players you’ve counted on to get here. At least in that event, you know you did your best banking on reliable players and things just didn’t work out. Like life, a lot of fantasy football at the end of the day can be about luck. So don’t beat yourself up during the decision making process. QB: Andy Dalton vs Browns: Not going to lie, the odds of snow for this game scare me but the matchup can’t be denied. Granted if you are in a 10 or 12 team league, you probably don’t need to start Dalton but for those who play daily fantasy he could make for a great value at a low price point. Expect around 240 total yards and two touchdowns. RB: Matt Forte vs 49ers: Forte started the year off on a tear, but has slowed down as the season dragged on. Fortunately for him, he has a nice chance to rebound this week. The 49ers run defense has been atrocious in recent weeks and with Bryce Petty at quarterback, Forte should see a lot of work both on the ground and in the passing game. Don’t be surprised if a big game by Forte swings many fantasy playoff matchups this weekend. Expect around 100 total yards and a touchdown. 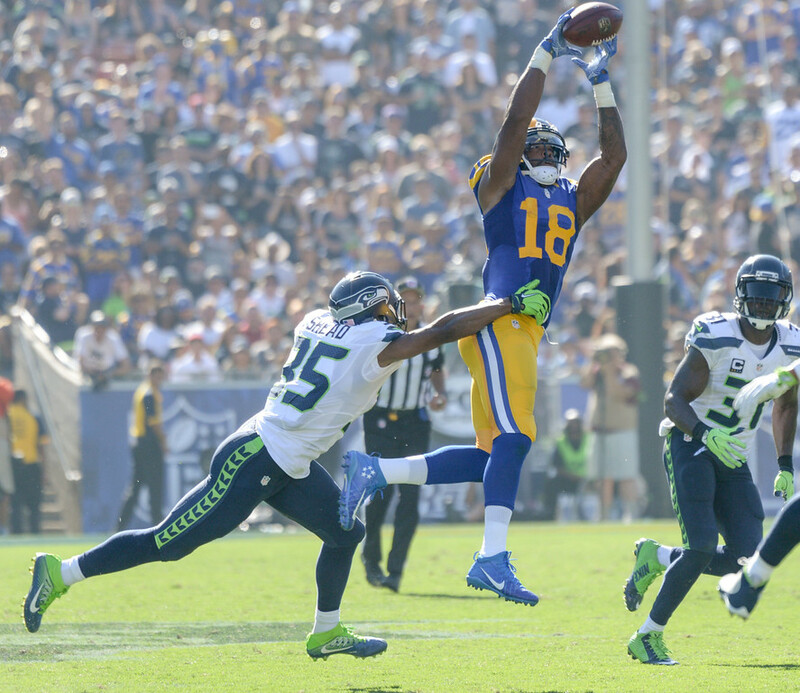 WR: Kenny Britt vs Falcons: Despite the Rams bringing out the checkbook for Tavon Austin, Britt is the one who has played more like a top tier receiver in 2016. While Jared Goff adjusting to the league could make Britt an inconsistent option, the payoff could be huge. The Falcons secondary is vulnerable and in the event the Rams trail early, they’ll be throwing early and often. Expect around 70 yards and a touchdown. TE: C.J. Fiedorowicz vs Colts: Forget DeAndre Hopkins, Fiedorowicz has been the most consistent pass catcher the Texans have had in 2016. Hopkins hasn’t fallen off in 2016 at all, this is more of an indication of what happens when Brock Osweiler is at the helm. Regardless, this is a shallow fantasy position and the matchup presents itself. Don’t be stunned if Fiedorowicz turns in a nice performance. Expect around 50 yards and a touchdown. K: Roberto Aguayo vs Saints: Using Aguayo for fantasy purposes during a rocky rookie season is not for the faint of heart. However, in a potential shootout (meaning lots of opportunities) he figures to be a decent option. If you’re willing to take risks during your playoff matchup, Aguayo might be the bet at kicker to make. Expect around two field goals and three extra points. DEF: Lions vs Bears: The Lions haven’t been an exceptional defense this year, but they could come up big if you stream defenses weekly. Playing a ball control style of offense, the Lions defense has less chances to hurt you as a fantasy owner and the matchup is very favorable. In a must win game (for a chance at the NFC North title), the Lions are facing Matt Barkley who besides Jordan Howard, doesn’t have a ton to work with in terms of a supporting cast. For a streamer the matchup on paper could me much worse. Expect around 3 sacks and an interception. This entry was posted in fantasy football, NFL, sleepers and tagged 2016 week 14 fantasy football predictions, Andy Dalton, C.J. Fiedorowicz, daily fantasy football advice, Detroit Lions, Fantasy football, Kenny Britt, Matt Forte, NFL, Roberto Aguayo. Bookmark the permalink.